Elgin City South councillor John Divers outside New Elgin Primary School. Police have stepped up patrols at some schools in recent weeks amid concerns that road rules are being flouted while pupils are being collected and dropped off. 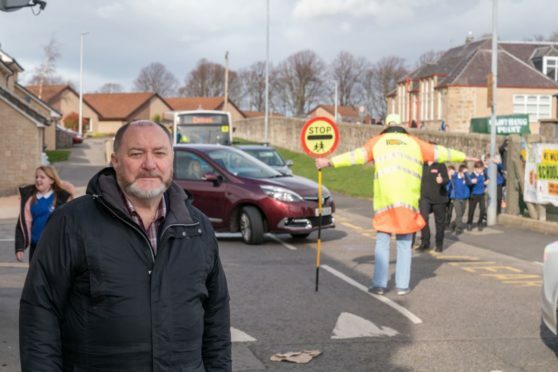 Last week, officers revealed that in just four days, 16 drivers were dealt with for a range of offences including failing to stop for school crossing patrollers near New Elgin Primary School. Now fears have been raised that unless parents and other drivers outside schools change their behaviour, accidents will become more common when the controllers are withdrawn later this year. Councillors unanimously agreed to get rid of the patrollers during budget talks earlier this year as part of efforts to stave off bankruptcy. Yesterday, Elgin City South councillor John Divers said parents behind the wheel must do their bit to ensure children are safe outside schools. He said: “It’s going to become more difficult when the school crossing patrollers go. We’re not legally obliged to provide them so it had to be looked at. “It’s something though where the parents, because it is mostly parents at New Elgin, are just going to have to wise up. Police stopped 16 drivers outside New Elgin Primary across five days – charging eight with failing to stop for a patroller and educated a further eight about parking. New Elgin Primary School, Elgin. Head teacher Elaine Milne admitted the situation outside the gates was causing “great concern” and said addressing the issue was of “paramount importance”. New Elgin is the largest primary school in Moray with a roll of about 500 pupils. 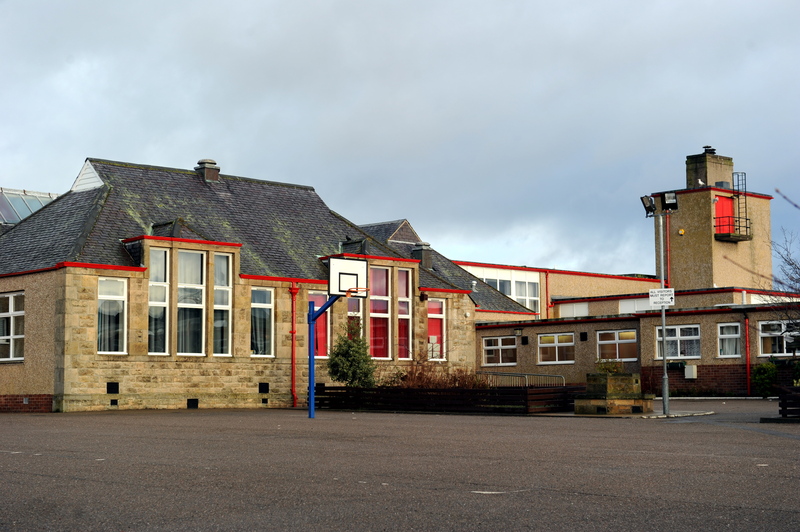 Similar complaints outside East End Primary School, which has about 200 students, were also reported to the most recent meeting of Elgin Community Council. A survey, spearheaded by Lossiemouth Community Council, is currently being run across the region to gather views from families about whether they would be willing to pay to retain school crossing patrollers. It is understood that an annual charge of less than £10 per child would be enough to cover the cost of the service for a year.